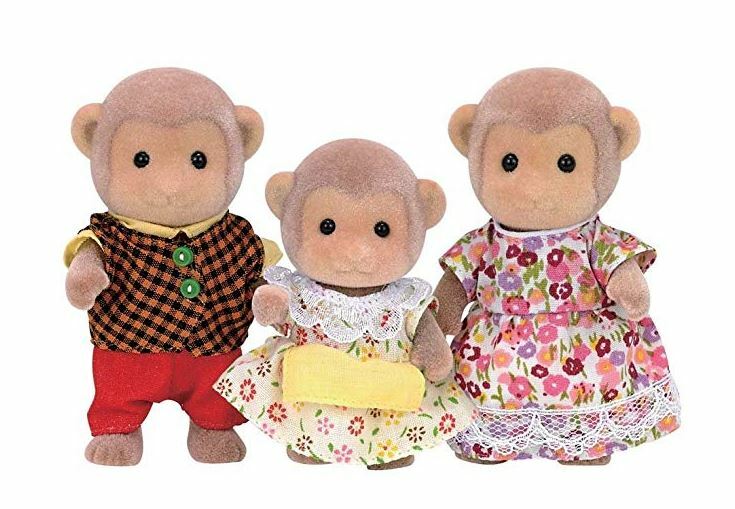 How cute is this Calico Critters Mango Monkey Family Doll Set on sale for $7.79 (Retail $18.95)! Father, Phil is a famous botanist and spends his days in the forest. He likes discovering new plants and flowers. Mother, Kemely is a famous artist in Calico Village. She especially loves drawing the plants and flowers her husband brings her. Daughter, Leyla is one of the best gymnasts in Calico Village. She likes jumping around and staying active.